Alabama Shakes are a rocket heading for stardom. 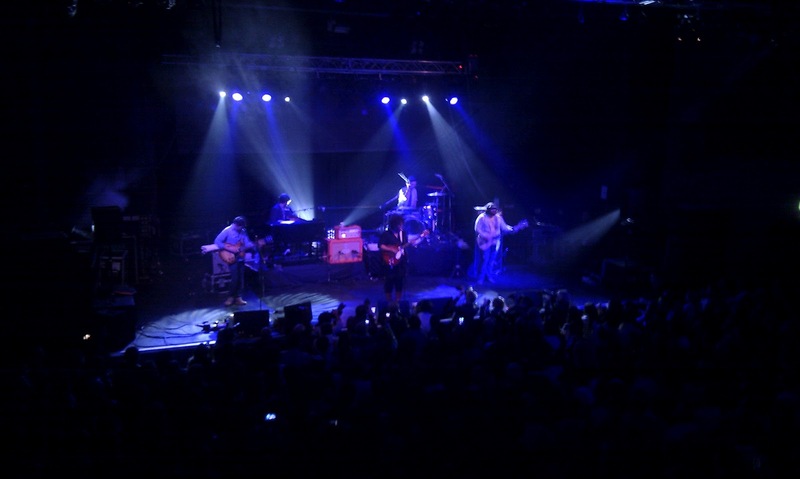 Brittany Howard, the band’s lead singer has that old school rock voice that the UK has been waiting for. At its most energetic, it’s a blend of Caleb Followill and Aretha Franklin. At it’s moodiest, it’s a clash of Amy Winehouse and Janis Joplin. And it all sounds like she’s singing through a 50’s tube mike – beautifully crackly, beautifully rocky. The band, consisting of a tight rhythm section, a modestly playing but oh-so-complimentary keyboardist and supremely talented guitarist stand near-rigid, rarely moving their spot. It provides the perfect counterpoint to Howard’s Jagger-esque stage manner. She really goes for it, whipping her head back and forth like Angus Young and walking around like she has all the experience and confidence of the Rolling Stones singer himself. She drags everyone along with her – you can’t help but think she’s great. ‘Hold on’, the track currently getting most airplay off of their album ‘Boys and Girls’, came early on the set. At first I thought it was an immature ploy to just get it out of the way – as if they were sick of it. In fact it was just there to set precedent for what was to come. The entire set was fantastic – blending Otis Redding with Kings of Leon. They not only live up to their hype, but they surpass it. Knowing the UK’s penchant for Americana blues-rock, they’ll be doing an arena tour within the next year or two. I bet ya.